Egypt’s Prosecutor-General Nabil Sadek ordered on Saturday the arrest of Lebanese tourist Mona Al-Mazbouh for four days pending investigations into charges of insulting and defaming the people of Egypt in a video that went viral online, according to a statement by the prosecution. Al-Mazbouh, who was on a touristic trip to Egypt, was arrested on Thursday at Cairo International Airport as she was on her way to board a flight out of the country. Last Wednesday, Al-Mazbouh posted a 10-minute video on her Facebook page that went viral on social media, where she went on a profanity-laden tirade about Egyptians. The Lebanese woman said in the video that her anger towards Egyptians was exacerbated after she suffered verbal harassment at the hands of two men on a street in Cairo’s affluent Zamalek neighbourhood. 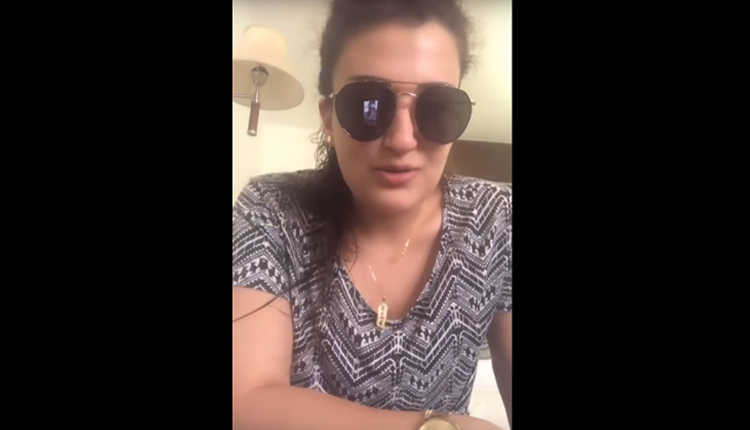 One day after posting the video, Al-Mazbouh removed the post and uploaded another video where she apologised “only to the respectful” Egyptians that have shown her support, while attacking Facebook users who insulted her through private messages. Shortly after the video went viral, Egyptian lawyer Amr Abdel-Salam filed a complaint with the prosecutor-general charging Al-Mazbouh with defaming and insulting the Egyptian people in accordance with articles 302 and 308 of the criminal penal code.